As experienced kitchen fitters in Edinburgh for many years, we know that a beautiful bespoke kitchen can add value to your home as well as being a huge selling point when it is time to move on. However as well as looking great a well designed kitchen should also work well on a practical level. More than any other room it needs to be well thought out and planned. Mistakes at this stage can be expensive to rectify later. Here are some tips to help you plan the perfect space. The concept of the work triangle is traditionally used to design the most efficient kitchen layout. This is done by arranging the sink, cooker and fridge on 3 different walls so that if lines are drawn from one to another they form a triangle. The idea behind this is to minimise the number of footsteps needed when cooking in the kitchen. More recently due to changes in the way we live, the idea of kitchen zoning is becoming more popular. Creating zones or areas set up to accommodate certain tasks have also been found to maximise efficiency as well as making the kitchen more sociable. 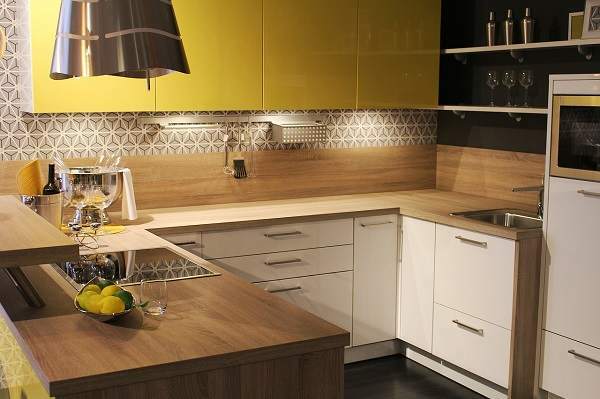 The most popular design ‘zones’ at the moment are cooking, food preparation, baking and cleaning. Work surfaces can make a kitchen look more spacious. Also think carefully about the type and quality of the surface. Plain or high gloss surfaces can look stunning but can also show every crumb. The dishwasher can need emptied every day and it makes sense to make this as easy as possible. For easy transfer of items, make sure there is enough space to have the dishwasher door ajar at the same time as the cupboards/drawers for the dishes. We all now have a number of recycling bins as well as our normal bin. Remember to design your kitchen to accommodate these, either in a cupboard or in an out of sight corner. Good under cabinet lighting can set the mood and make a kitchen look fabulous as well as more enjoyable to work in when it is dark. To save hassle, it is worth investing in long life LED lights and before making your final choice always check how easy the bulbs are to replace. There are many types of hob available, electric plate, gas, ceramic, induction, gas on glass. Each type has different heating and cooking advantages and disadvantages. However cooking on a hob can be messy and keeping it clean can be time consuming. Gas hobs with many parts can be particularly tricky. It can be worth making this a consideration when choosing a model for your new kitchen.